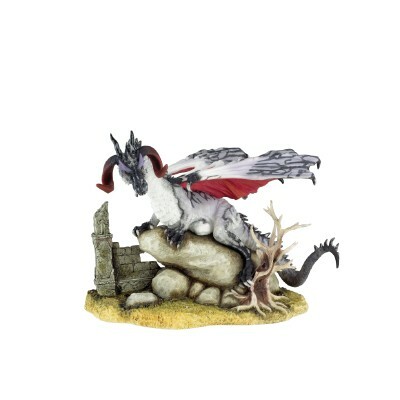 The Enchantica collection of Dragons, Wizards and Witches was originally produced by Holland Studio Craft – initially producing small resin animal figures and a range called “After the Party Mice” sculpted by Andrew Bill. The company was keen to produced a fantasy line with JRR Tolkiens Lord of the Rings being the most popular choice, but due to copyright and costs this idea fell through. Eventually it was decided the only way forward would be to create their own fantasy story. With that Andrew Bill set about writing his first book, “The Wrath of the Ice Sorcerer”. Enchantica was born! The book was a huge success, and a best seller. Quickly the designers set about bringing the characters of the book to life. With the initial outstanding success of the brand a collectors club was created which began in 1990 and ran until 2001. Each year members received a membership piece and the opportunity to purchase special club editions. Xystos, a giftware company, took over the range in 2005 and relaunched the Collectors Club in 2007, but it has since closed again. NOTICE – This site is not affiliated with Enchantica TM . 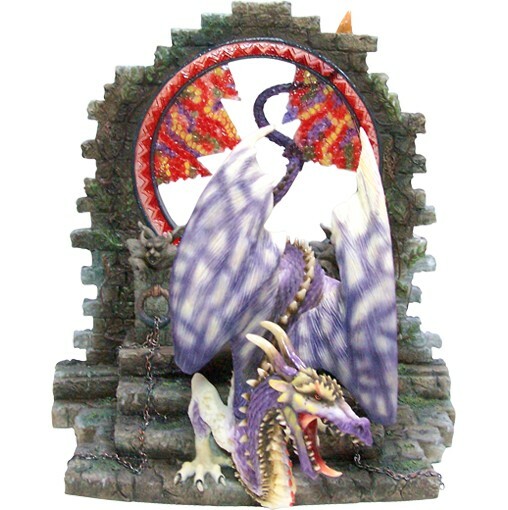 The purpose of these pages is to provide information to collectors of Enchantica figurines.